That’s right, I’m selling MY Roland R5..
Click on the picture or link below.. This is the “Little brother” of the humungous R8. This drum machine pretty much does it all. It should be considered as a Pro-unit. There are 5 Pad Banks (kits) for a total of 80 sounds accessible (out of 94 max). The Pads (keys)are preset but can be user defined. A Performance Bank is also available, which stretches the pitch a single sample across all 16 pads. This to can be user defined + or – 4 octaves in 10 cent increments.. 32 Preset Patterns 100 Programmable Patterns with 99 measures. max per pattern and up to 2600 notes total. Memory does run out quickly so it’s a good idea to get rid of unwanted Patterns. clock is 1/96 ppq. 6 songs w/ max 999 measures per song. (use repeats and loops) but still there’s almost always plenty of song memory left. Feel Patches are about the coolest thing with the R-5. 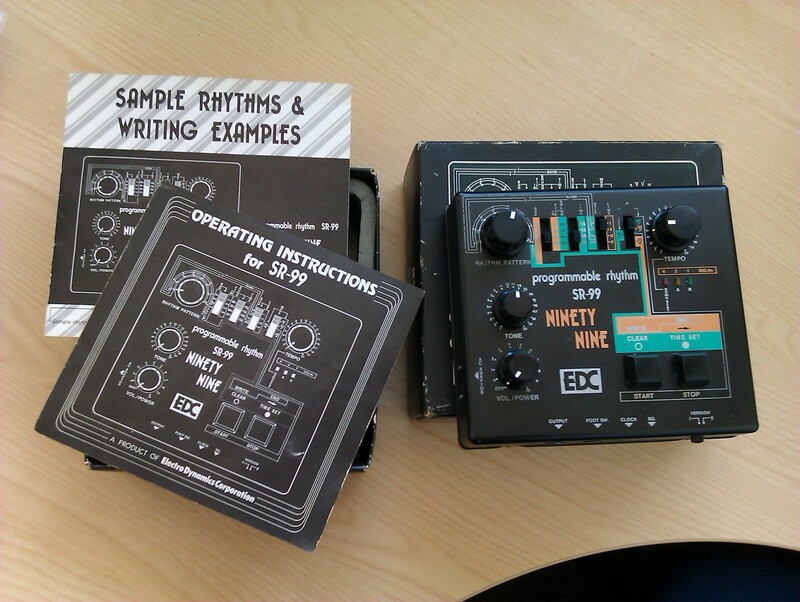 Roland calls this drum machine a “HUMAN RHYTHM COMPOSER” and for the most part it does. With feel you can create timing inaccuracies, nuance changes and stick placements. Add groove and swing, then randomize. Groove is super important for the High Hats. Excellent Midi Implementation. Transmits each instrument separately on any channel you wish, or set all instruments to a global setting. Another important necessity for “home studios” is that there are six 1/4″ outs (one stereo pair and 4 individual). A must when you need a dry kick and a wet snare. There are no built in effects, although some sounds were sampled with reverb. Buy one. You won’t be disappointed unless you want hip/hop and rap samples–there aren’t any. There’s 68 of ’em. and 26 user defined instruments (Copy an existing sample and tweak it, then save it.) 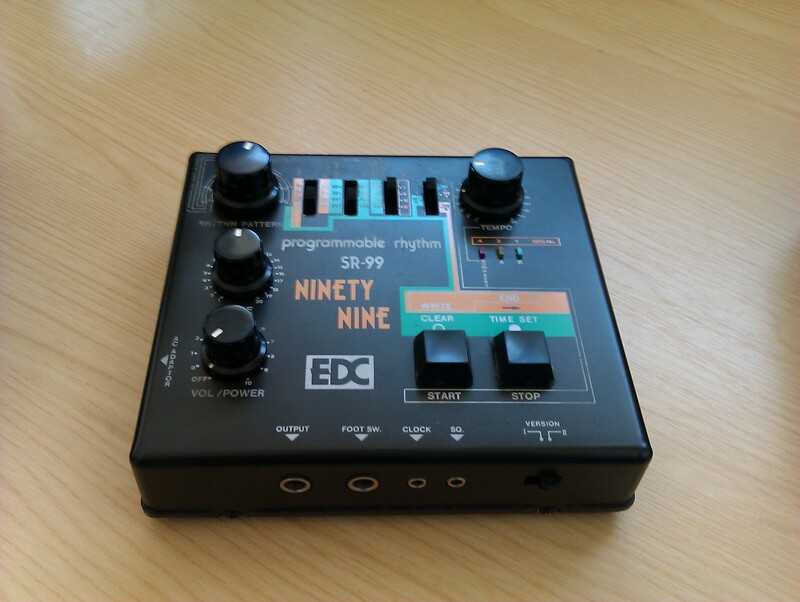 Has a decent copy of the TR-808 clap. Full Working Order. Complete with Original Manual and UK Power Supply Unit. This thing is awesome. Created a by a mad genius (Mike Walters), from a Tascam 4-track, he’s built a programmable drum machine that’s capable of gating external inputs as well. Check out his website, too..